I recently received a terrifying email from Sue Kenney, the organizer of the Camino trip I am taking in May. To be fair, there is nothing terrifying about Sue. She’s a lovely person. I’ve had the pleasure of novel marathoning with her in the past and I’m looking forward to walking the Camino in her footsteps. What terrified me was the list of things I am to carry during my walk. The list is remarkably sparse. On the surface, this makes a great deal of sense. We will, after all, be walking every day…and carrying everything we pack with us every day. In theory, I knew the list would be short. It’s the luggage packing maniac in me who has begun to panic. How am I to carry so little for so many days? I’ve taken more with me on long weekends. Perhaps if I brought along a donkey, nobody would notice. Said donkey could walk alongside me and carry the burden of my guilt infested well-appointed luggage. And if it’s a small donkey, I might even be able to squeeze him into two airline seats. In the proper costume, said donkey could probably pass as a rather corpulent human. Heck, if he’s small enough, I wouldn’t even need the second seat…we could just sit in the more spacious first class section of the airplane. I’m sorry. I don’t know where that came from. Yes I do. I’m in the denial stage. I’m still under the mistaken impression that I could talk my way around the tiny list of meager possessions I am expected to carry. What can I say. As I was writing, my donkey brayed and that bray was the kernel of an idea. A means of rescue for an over-packer. 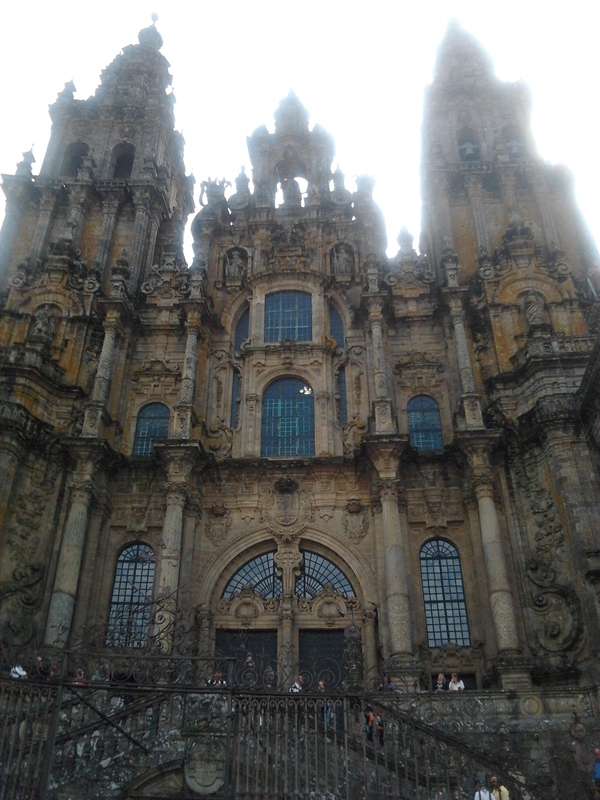 CLICK HERE to check out Sue Kenney’s Camino Group Journey! I thought I would compile a list of the things I will carry that will neither be in my backpack nor on my person during my Camino walk. 2. Fearlessness. I don’t think this is something I will be able to squeeze into my backpack. Fearlessness takes up a lot of space. It is better to carry it in my chest, where there is more room. 3. Faith in Goodness and Good Things. This is something I often have a hard time packing, even on my daily workaday adventures. You might have read my recent blog that referenced a quote by the late great Sid Caesar. “You think just because something good happens, THEN something bad has got to happen? Not necessarily. Two good things have happened in a row.” I tend to have a lot of faith in the happenstance of bad things. I wonder now if I should unpack my faith in bad things happening instead of attempt to pack a faith in good things happening. Or maybe I can do both. It’s always a good idea to get away from yourself when you’re travelling. 4. Wild-Eyed Wonder. I will be seeing beautiful things. I want to open my heart to it all, take it in and carry it with me beyond the plane-ride home. If I carry with me the same simple practice of wonder that I see in my grandson, Edward, I think I will be able to do this. When he sees the colour green, or a frog, or his favourite stuffed toy, or a puzzle, or chocolate, or mangoes…he himself becomes quite wondrous. If I think like him, see things for the first time like him, perhaps I will be able to enjoy every little detail of the Camino as I come upon it. 5. A notebook. Okay, like the rock, this is also something I will actually have on my person. A tangible physical item. But I will use it as an extension of myself. I will not worry about the grandeur of the words I choose to add to its pages. I will simply jot down the things that come to me. This is, after all, a pilgrimage. I’m sure a true pilgrim will always have a means to record the pilgrimage they are taking. I will be the notebook and the notebook will be me. 6. Cynicism. I will carry this in a safe place. Somewhere dark, isolated, and unreachable. It will be the thing I swallow before I leave the plane on the first day of my journey. And I will do my best to digest it and allow it to leave completely so I will no longer be required to carry it on my person once my journey is over. Cynicism is one of those things one just can’t seem to unpack. Best to just take it in and convert it to something more useful along the way. I know I can do this, because I am practicing on my Faith of Good Things happening. If I make sure I have these things, they will help me to not notice the things I may lack in my backpack. Carrying these things may help me to be kinder to myself and to those around me. I’m ready for this. I can do this. The rock in my pocket, and all the things it represents, has given me a new kind of power. Sure, I intend on leaving it behind when I go to Spain…but I also intend on carrying it with me forever. Some things multiply in bounty as you let them go. If you have just the right amount of faith in a thing, you can watch it grow, even as it disappears in the distance. I’m making this journey to reclaim something that was taken from me. Sure, I may just be walking a well-beaten path to nowhere…but with every Camino Walk there is an immense inner journey that happens simultaneously to your feet touching the ground and your body being propelled forward. Next Post What’s Your Ritual?